Jack Mundey, christened John Bernard Mundey, was born in North Queensland, one of five children of a share farmer on the Atherton Tablelands. His first wife died in 1963. In 1965 he married lawyer Judith (Judy) Ann (b.1944), daughter of John Willcocks and Phyllis Rimmer, who became national president of the Communist Party of Australia. Their only son Michael died in a car accident aged 22. Jack Mundey came to Sydney as a professional footballer and played League for Parramatta for three years. He worked as a builder’s labourer and became an outspoken and active leader of the Builders’ Labourers Federation. He was secretary of the NSW branch of the BLF from 1968 to 1975. In the 1970s, he formed and led the Green Ban movement which preserved many of Sydney’s historic sites from demolition and saved the inner-city suburbs of Woolloomooloo and The Rocks from unfettered development. Internal dissension within the Builders’ Labourers Federation led to his expulsion and his inability to work on building sites for many years. In July 1995 he was appointed Chair of the NSW Historic Houses Trust. He has lectured extensively and published prolifically on urban conservation. Mundey had no formal tertiary education but in 1998 he was awarded an honorary Doctorate of Science from the University of NSW and an honorary Doctorate of Letters from the University of WA for his role in the conservation movement. Mundey is a committed environmentalist who was a national councillor with the Australian Conservation Foundation for 11 years. His Green Bans movement saved many inner-urban tenants of low rental homes from eviction and whole communities from disruption and dislocation. He continues to be involved in environment and urban issues and opposes threats to historic Sydney sites. 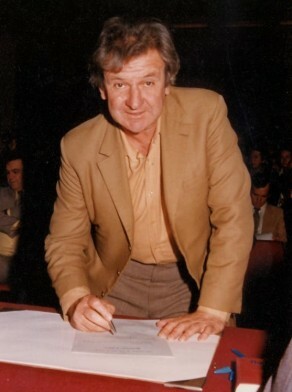 Jack Mundey was elected to Sydney Council as representative of Gipps Ward on 14 April 1984 and served until 1987. He was chairman of the Planning committee from May 1984 to September 1985. He was a member of the Communist Party and served as an Independent member of the Residents Action Group.